The 2017-18 season of the Premier League is not turning out as exciting as it was initially expected to be. Before the current season had kicked off, people were beginning to get enthusiastic as it was confirmed that a number of highly-rated managers were going to take charge of top clubs in the Premier League. This list of managers includes the likes of: JurgenKlopp, Pep Guardiola, JoseMourinho and Antonio Conte. Each and every one of these tacticians have been successful and lifted some of the biggest titles in the world of football at some point in time and they wanted to test their luck in the Premier League. 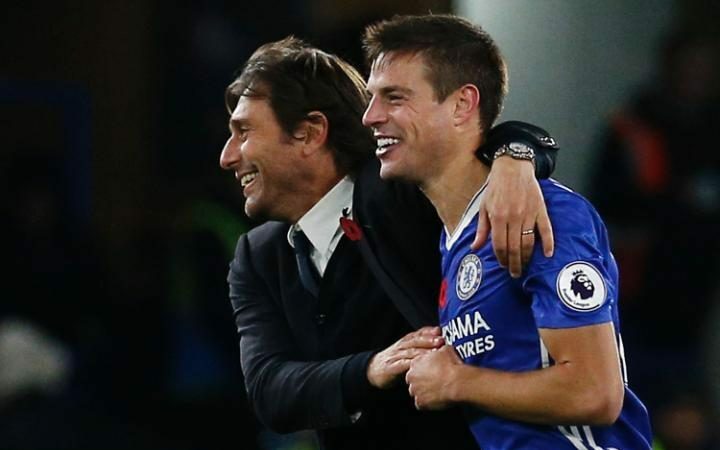 This Premier League season was expected to be one of the most tightly contested ever as all the top clubs had recently been appointed with gifted managers but from the looks of it, at this point in time it appears like Chelsea is running away with the piece of silverware and Conte himself believes that his squad is inching closer and closer, especially now with their recent 1-1 draw with Liverpool. “We have to concentrate and prepare for Arsenal, because we face another great team - that’s what they are. They can fight for the title. This week is very important for us and we want to finish in the right way’’ said as the Italian manager stated that the draw against Liverpool was a very good result and that his team now has to focus for their upcoming match with Arsenal which is scheduled to be played on February 4.